Curt and Marisa Lewis are moving into the old Gordo’s Mexicateria on Broadway. They hope to open on May 1. Holy Smokin’ Butts BBQ specializes in smoked meats. Holy Smokin’ Butts BBQ is moving into the old Gordo’s Mexicateria on East Broadway. Holy Smokin’ Butts BBQ will be able to smoke four to five times the amount of chicken, turkey, pork and brisket courtesy eight giant pits at their new digs on East Broadway. As its second anniversary as a brick and mortar restaurant nears, Holy Smokin’ Butts BBQ is moving to bigger digs. The restaurant is expected to open May 1 at the former Gordo’s Mexicateria on East Broadway, not far from its home at 1104 S. Wilmot Road. Owner Curt Lewis said the new space at 6940 E. Broadway will allow him to expand the dining room and add smokers — eight in all compared to the single smoker they use now. 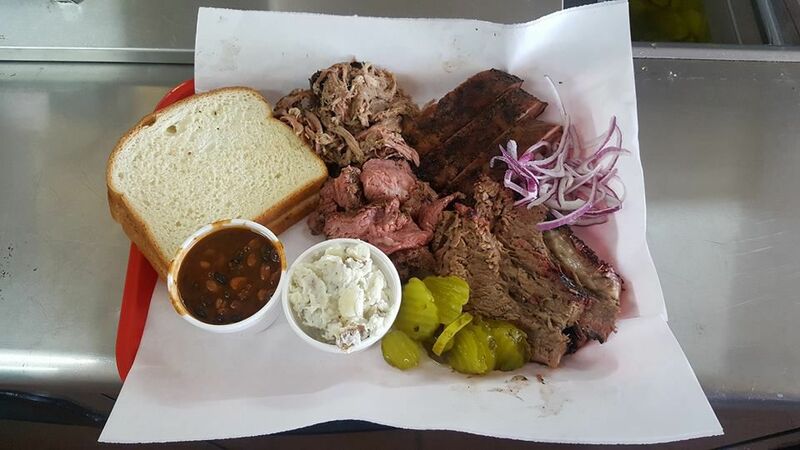 The additional smokers will allow the restaurant to increase the amount of Texas-style, dry-rubbed brisket, chicken and sausages it can produce by four to five times, Lewis said. Since opening in summer 2017, Lewis and his wife/business partner Marisa have consistently sold out of food before closing time. Holy Smokin’ Butts started as a food truck in 2016 and a year later the Lewises signed the lease for the Wilmot Road building that had once been a Lucky Wishbone restaurant. Almost from the first day they opened in June 2017, they realized the space was too small. There was no room to add smokers, so the couple used the single smoker that they used for the food truck. They signed the lease last October for the 6,500-square-foot Gordo’s space, which can seat as many as 225 diners, according to the building’s specs. Curt Lewis said they have been renovating the building, which has largely involved cosmetic improvements, including fresh paint and minor repairs . Gordo’s Mexicateria operated in the East Broadway building for its final five years before closing in 2002. Owner Diego “Al” Valenzuela opened the original restaurant on Prince and Flowing Wells roads in 1959 before moving it twice to East Broadway. Valenzuela ran the restaurant — known for its “Do you like chimichangas?” TV commercials — until 2000, when he sold it. He died in 2003 at the age of 69. Holy Smokin’ Butts will be open at the Wilmot Road location until the move. Lewis said the restaurant will close for a day or two to make the move to the new building. Activity in Tucson’s commercial sector remains strong with investors interested in multifamily, industrial and office spaces.